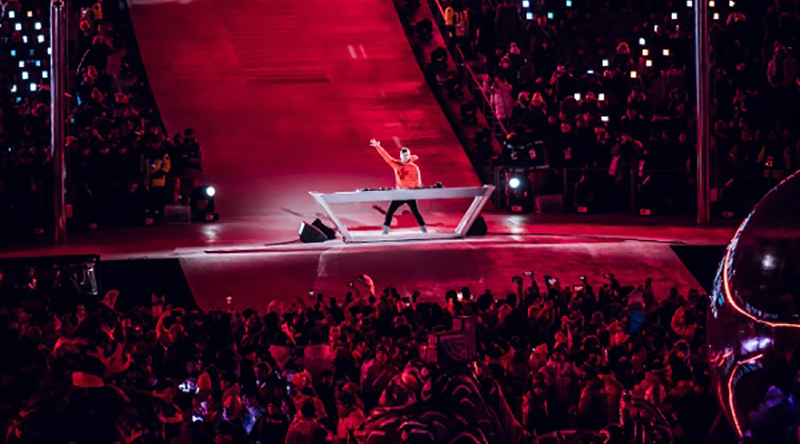 Martin Garrix took the stage at the official Winter Olympics Closing Ceremony in Pyeongchang, South-Korea. He turned the last part of the ceremony into a party that even got athletes streaming out of the stands onto the floor to dance. Garrix wrote history as the youngest DJ/producer to ever perform at the Winter Olympics Closing Ceremony. Next to the audience who got to witness it in the stadium, the performance got broadcasted live to millions of households all over the world. The Closing Ceremony is an opportunity for the athletes to be celebrated one last time before they all return to their countries. No Replies to "Martin Garrix Performs at Official Winter Olympics Closing Ceremony"